Honored for Best Website Reboot | Hupy and Abraham, S.C. 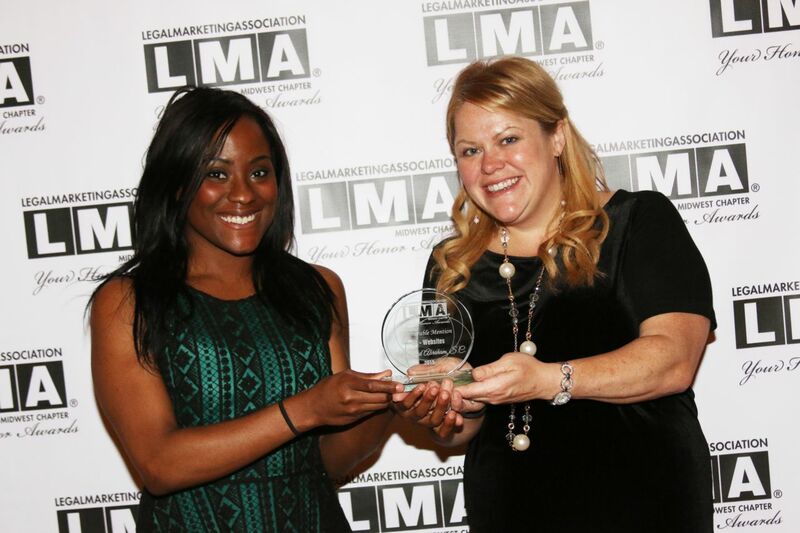 Personal injury law firm Hupy and Abraham, S.C. has been honored for Best Website: Reboot at the 2015 Legal Marketing Association (LMA) Midwest Your Honor Awards (YHA). The YHA recognize creativity, execution, achievement and overall excellence in legal marketing, business development, communications and public relations. Out of several entries, the firm was one of the category’s two award winners. The firm submitted entries in Promotional and Collateral Materials, Total Website Refresh, and Social/Interactive Media categories. All three entries were named finalists in their respective categories. Hupy and Abraham, S.C. received recognition for "Best Website: Reboot" at the 2015 Legal Marketing Association's "Your Honor Awards." Hupy and Abraham, S.C.’s redesigned website debuted in November 2014. The firm strived to simplify the lawyer research process for potential clients, to provide an easily navigable website with a modern flare and to highlight key information for the public. The YHA distinguishes Illinois, Indiana, Iowa, Kansas, Michigan, Missouri, Nebraska and Wisconsin law firms, law-related organizations and service providers who have set new standards for innovation in finding, developing and retaining profitable business. The firm, which provides top-notch legal services in a variety of practice areas, including car accidents, motorcycle accidents, pharmaceutical class actions, nursing home negligence and more, has set a high standard for Internet marketing and development of one of the best websites in its industry. In 2015, the firm was honored for “Best Website: Law” at the 19th Annual Webby Awards.